Fisheries Minister Claude Hogan speaks, fishers and other officials gathered for the launch of the SuccorFish monitoring equipment funded through the JNCC. 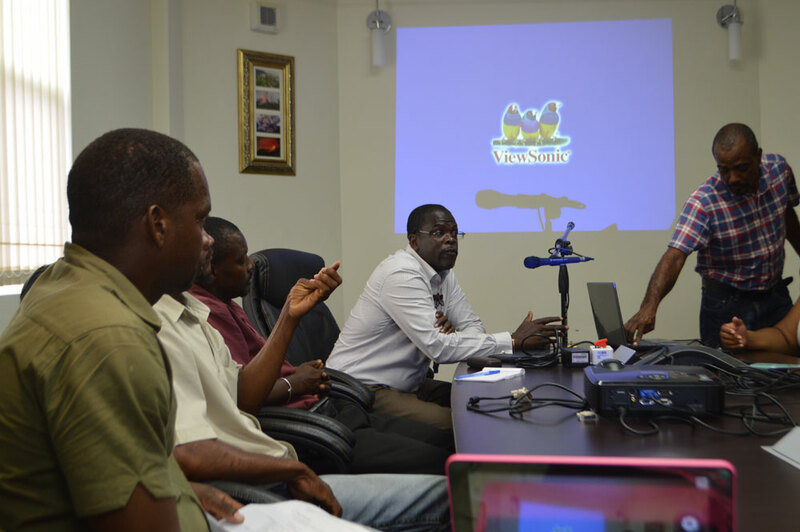 The Government of Montserrat on Wednesday launched a new project which is aimed at helping to secure local fishers while at sea and also collect ocean resource data. The Government in collaboration with the Joint Nature Conservation Committee (JNCC) as part of its ambitious self-sustaining marine spatial program, aimed at better understanding Montserrat’s fishing fleet activities within its ocean space has launched an in-shore vessel monitor system supported by an App. The partnership will be drawing on support from SuccorfishM2M, who are providing technical advice and software support for the implementation process. With total funding of up to XCD$500,000 provided by JNCC, the purchase and fitting of seven (7) solar powered I-VMS (Inshore Vessel Monitor Systems) on open deck Montserrat fishing vessels, at a cost of XCD$35,000, is the first step in a multi-year project. I-VSM is a low-cost monitoring communication system utilizing the mobile phone network and will provide the Government with accurate and real-time information of local fishing vessel activities in waters under national jurisdiction. The system is a fit and forget solution for fishermen on small open boats. For the first time, this scientific evidence-based picture of fishing activity will provide the foundation for Montserrat to meet a number of its international obligations in ocean governance and marine spatial planning in the future. 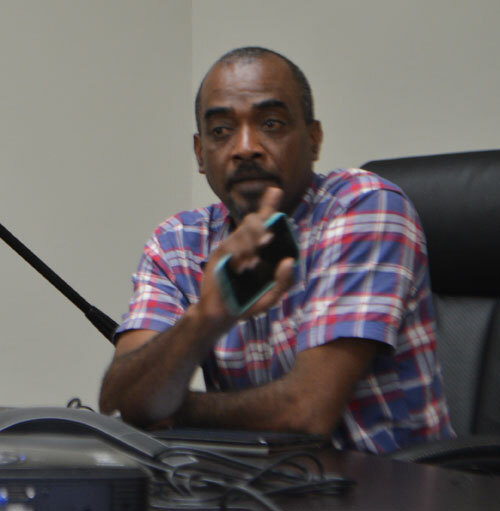 Dr Tony Weighell, JNCC Overseas Territory Head states: – ‘JNCC is pleased to be working closely with the Government of Montserrat to use state-of-the-art technology to assist the island’s fishers to manage and develop their fishery. Access to good information is the first step to sustainable fisheries management. Supporting deployment of this set of devices to monitor fishing fleet activities is only the beginning of a new partnership approach which will bring expertise and technology from the Falkland Islands and the UK to the island of Montserrat’. Local fishers have been at the heart of the project from the start.They will have access to their data and be able to check the security of their vessel or family on-board by knowing where the vessel is when at sea. In the past fishing boats have been lost from their moorings and with the I-VMS technology the fishermen will have the ability to track and recover their boats. Montserrat’s Ministry responsible for Fisheries and Ocean Governance relies on improved data to help decision makers and users of the ocean to maximize the socio-economic benefits from ocean resources safely; whilst aiding the protection of Montserrat’s ecosystems for future generations. Previous story No Ferry …So What?